AviaSolutions recently completed a project for the UK Department for International Development (DFID) to procure air services to the remote island of St. Helena when its airport opens in 2016. Currently, the only way to reach the 10 miles by 5 miles volcanic island located in the South Atlantic Ocean is via the Royal Mail Ship St. Helena, a vessel that visits about once every three weeks, taking six days to make the voyage from Cape Town. 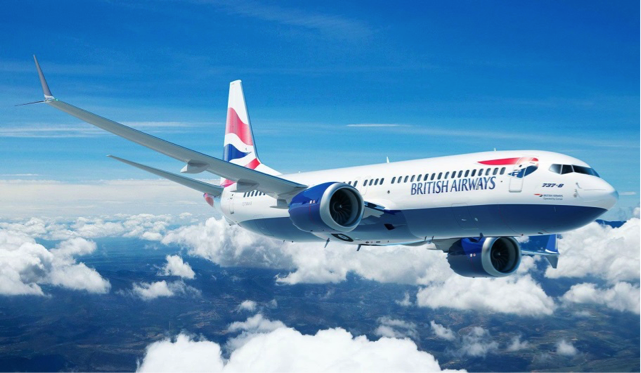 Once the new airport is complete in 2016, Comair Limited, a South African airline, aviation and travel company, will provide weekly scheduled service between Johannesburg, South Africa, and St. Helena Airport using a new Boeing 737-800, operating as British Airways, with which Comair has a franchise agreement. St. Helena is one of the most remote islands in the world. Thought to have been discovered by the Portuguese in 1502, it was first populated by the East India Company in the 17th Century, becoming an important port of call on voyages from India and the East Indies. Captain Cook’s vessel HMS Endeavour resupplied off the coast of St. Helena in 1771 on its return from the European discovery of Australia. Some famous residents included Napoleon Bonaparte who saw out his final days here (his residency is still French State property) and more than 5,000 Boers taken prisoner during the Boer War. The main beneficiaries of the new air service will be the 4,250 island residents – known as “Saints” – and their visiting relatives. However, the service will surely increase tourism to the “undiscovered” island. St. Helena attracts just 1,200 tourists a year, a number constrained by the number of ship berths and hotel rooms on the island. AviaSolutions was appointed in 2013 to manage the air service procurement process, from assessing the requirements to soliciting interest and bids from potential airlines via a secure website, through to assessing airline technical competence and negotiating the final contract on behalf of DFID. The project required solving a series of technical and market challenges to reach the remote island. The team investigated 15 different hub cities and routes that could connect with St. Helena, including locations in Brazil, Africa and Europe. Johannesburg was selected as the leading hub as it is the busiest airport in Africa and offered the most onward connections, maximizing island access. Due to the island’s size and topography, the new airport’s runway will be relatively short (1,550m landing distance) and sheer drops at both ends. In addition, the team considered the most suitable aircraft type. Given the projected number of weekly passengers in the initial years, a smaller regional aircraft would have been most suitable. However, given the four-and-a-half hour flight time from Johannesburg and the requirement to carry extra fuel, a larger, longer-range narrowbody was selected. Other technical constraints included the available operating hours (daylight only) and the nearest potential alternate airport – the military Wideawake Airfield on Ascension Island, 1,300km to the northwest – and the need for the operator to be 120 minutes ETOPS certified. As a result, the operator will have to carry sufficient fuel to allow for two hours of island holding (“circling the airport”) in addition to trip fuel. Avia’s airline solicitation process kicked off in March 2014 via a dedicated website (www.flytosthelena.com) that attracted interest from 12 airlines. The bids were then narrowed down and discussions and negotiations commenced. Final conversations with Comair started in December 2014 and included daily conference calls with Avia’s clients, DFID and the St. Helena Government. Finally, the contract was structured with fixed and variable fee components, giving Comair an incentive to market the service. In addition to the new air service, St. Helena will add hotel rooms to cater for more tourists. A separate effort by the St. Helena Government attracted a new, 32-room hotel that will add to the current inventory of some 60 hotel beds on the island. Construction is expected to begin in July 2015 with the hotel opening in 2016.